Adverse childhood experiences, in particular, are linked to chronic health conditions. Traumatic events encompass anything from a sexual assault or childhood abuse to a cancer diagnosis. Child abuse is particularly likely to affect your adult life because it occurs at a time when your brain is vulnerable — and it often occurs at the hands of people who are supposed to be your protectors, says Roberts. "By abuse, we often mean things that are a lot milder than things people typically think of as abuse. It might include being hit with a hard object, like a whip, a belt, or a paddle," says Roberts. "The behavior doesn't necessarily need to be illegal to induce a traumatic response." A child's perception of events is as important as what actually occurred. 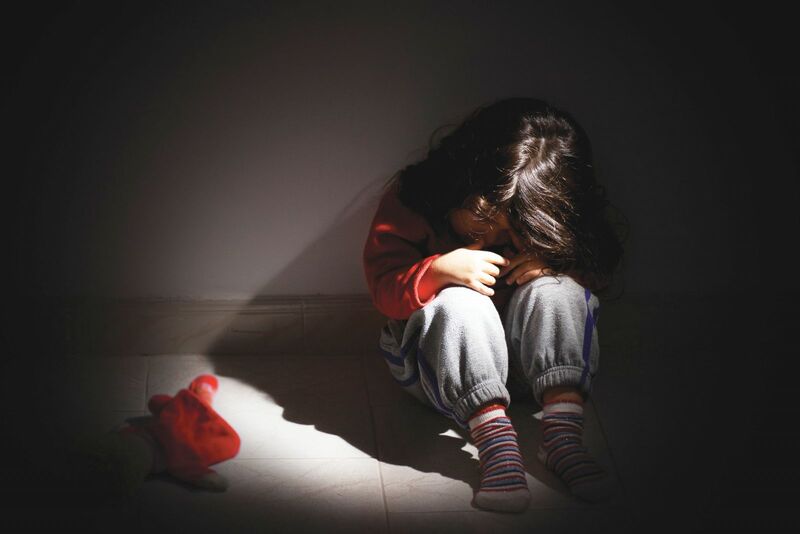 "While a child's life may not have actually been in danger, the child may have seen it as life-threatening," says Dr. Kerry Ressler, a psychiatry professor at Harvard Medical School. People who experience traumatic events sometimes develop post-traumatic stress disorder (PTSD), a psychiatric condition that affects 5% to 10% of the general population, says Dr. Ressler. It's more common in women, affecting twice as many women as men. And it also occurs more frequently in people who have certain risk factors, including those living in poverty, soldiers in active combat, and first responders, he says. PTSD can develop after a person experiences violence or the threat of violence, including sexual violence. It may affect people who have a close relative who experienced those things as well, says Dr. Ressler. These traumatic events are generally incidents that are considered outside the ordinary and are exceptional in their intensity. Your risk for mental and physical health problems from a past trauma goes up with the number of these events you've experienced. For example, your risk for problems is much higher if you've had three or more negative experiences, called adverse childhood experiences (ACEs), says Roberts. incarceration of a household member. While severely traumatic events are believed to have the greatest effect on long-term health, other stressful events that don't necessarily meet the psychological definition of trauma can still cause problems. This might include a sudden death in the family, a stressful divorce, or caring for someone with a chronic or debilitating illness, says Roberts. These milder events might lead to a mental health disorder, such as anxiety or depression. "Trauma pushes your ability to cope, so if you have a predisposition toward anxiety, for example, it may push you over the edge," says Roberts. In addition, incidents like these can also produce PTSD-like symptoms in certain people. "When people go through traumatic or complicated grief, they can experience pretty similar symptoms to those they might experience with trauma, such as intrusive thoughts," says Dr. Ressler. Most of the research related to trauma and chronic disease risk has focused on childhood trauma, says Dr. Ressler. Early childhood trauma is a risk factor for almost everything, from adult depression to PTSD and most psychiatric disorders, as well as a host of medical problems, including cardiovascular problems such as heart attack and stroke, cancer, and obesity. Behavioral changes resulting from trauma. People who are suffering from traumatic memories may try to escape them by participating in risky behaviors such as drinking, smoking, drug use, or even overeating for comfort. "Those can all be used as a coping mechanism, a way of dealing with emotional dysregulation that occurs when someone has been traumatized," says Roberts. These habits, in turn, lead to health problems. Physical effects related to trauma. The problem goes beyond unhealthy habits. Experts believe that there is actually a direct biological effect that occurs when your body undergoes extreme stress. When you experience something anxiety-provoking, your stress response activates. Your body produces more adrenaline, your heart races, and your body primes itself to react, says Roberts. Someone who has experienced trauma may have stronger surges of adrenaline and experience them more often than someone who has not had the same history. This causes wear and tear on the body — just as it would in a car where the engine was constantly revving and racing, she says. Stress responses have also been demonstrated in people who have experienced discrimination throughout their lives. "It ages your system faster," says Roberts. Chronic stress can increase inflammation in the body, and inflammation has been associated with a broad range of illness, including cardiovascular disease and autoimmune diseases, says Roberts. Early trauma disrupts the inflammatory system. This can lead to long-term aberrations in this system and chronic health problems triggered by constant inflammation. Typically, the more trauma you've experienced, the worse your health is. People who have experienced trauma may also struggle with getting help. "One of the most common outcomes of trauma is avoidance," says Dr. Ressler. "It makes sense. If you experience something traumatic, you want to avoid thinking about it and going to places that remind you of it." Unfortunately, health settings — with their doctors, therapists, and counselors — are triggers for many people because when someone experiences a traumatic event, he or she often ends up in the health care system. In addition, if you've experienced trauma, you may believe that health care providers will want you to talk about it and dredge up feelings from the past. For these reasons, people who have experienced trauma may avoid medical care. Some people may be in denial about the role past trauma is playing in their life. "I would say that a lot of people are unaware of how trauma is affecting them," says Roberts. One of the hallmarks of trauma is the fact that people often use defense mechanisms to protect themselves from stress. Denial is one of those, as is trying to normalize past problems. "People may say things like, 'oh, everybody I know got hit as a child,'" says Roberts. The National Center for PTSD (www.ptsd.va.gov). If you suspect that past trauma is affecting your life, there is help. This is a treatable problem. "You don't have to be stuck," says Dr. Ressler. "There is a good chance that you can move past this." Taking steps to address the problem may also help others in your life. Very often people who have experienced trauma pass problems on to others in their family through a process called observational learning, he says. So, helping yourself may help those around you. Consider these steps. Work with a therapist. A trained therapist can help you reframe what happened to you and help you move past it. "One of the most successful treatments is exposure therapy, where the idea is to expose yourself in small doses to the thing that was most traumatizing, with someone there to support you," says Roberts. Treatment may also include medication to address any mental health disorders you are experiencing. Take care of yourself. There are numerous lifestyle measures that can help you reduce stress and anxiety. These include yoga, tai chi, and meditation. Regular exercise can also help you manage stress and other symptoms. Reach out to others. Research has shown that maintaining strong social ties with friends and family members is crucial to good mental health. "Unfortunately, all of these things are hard to do when in depressive states," says Roberts. That's why many people may need to start with therapy, and then add other strategies later on.